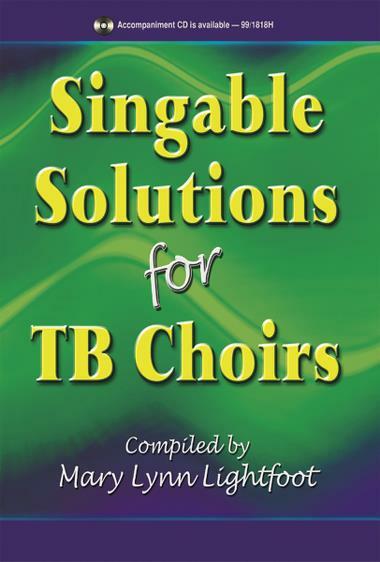 Your numerous requests for an accessible and practical TB collection have now been answered! Whether your guys are scheduled separately, or you offer a TB choir as part of your middle school, junior high or smaller high school choral program, we are delighted to present these creative solutions to meet your repertoire needs. The eight selections are in a variety of styles, and possess musical integrity and educational value. Some are brand new, and the rest have been excellent sellers as individual octavos. Now available in this outstanding collection for about half the cost than if purchased separately-a welcome budget stretcher for your program. We are confident that you will enjoy these singable solutions for your concerts-and your budget!